Please Note: Trinity doesn’t have it’s own parking but there is plenty of street parking as well as a public parking lot located nearby. Leaving Marco Polo Cruise Terminal – 111 Water St.
Head north on Water St. toward Duke St. Turn right onto Market Square. 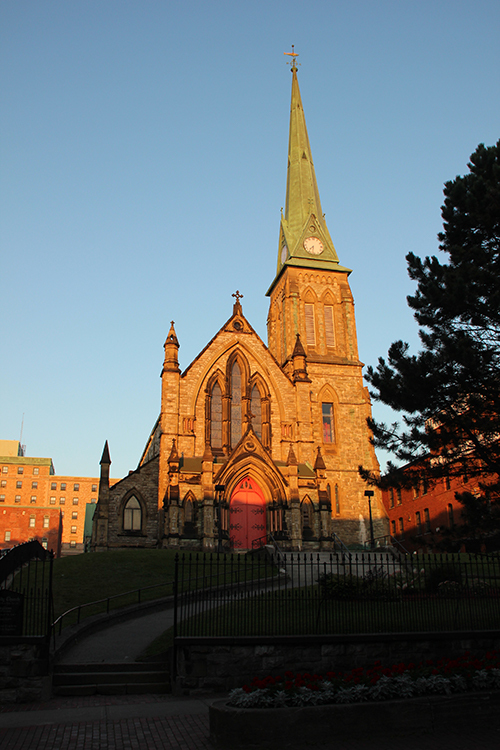 Proceed to Trinity Anglican Church – 115 Charlotte St.